A teller of stories and an interpreter of song, Ferraro has a powerfully dynamic vocal range. The warmth of her voice and radiant smile, along with a rich sense of humor keep her audiences enthralled. Her latest jazz recording, “Serenading The Moon,” climbed the Billboard Jazz charts and is a collaboration with some of the finest players on the jazz scene today. Hailing from the great jazz city of Pittsburgh, Lisa is currently an artist in residence in the Columbus, Ohio area and travels the globe sharing her inspired performances and mentoring other artists. Launch the holiday celebrations in swinging style with Jazz Up The Holidays! 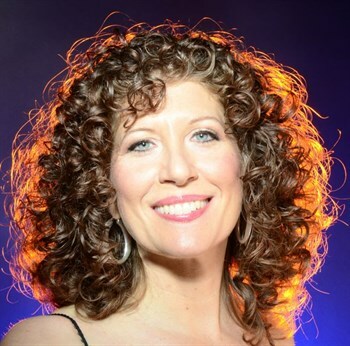 Dynamic vocalist Lisa Ferraro returns to Pittsburgh bringing her dazzling and internationally celebrated voice back to home town fans. With sizzling arrangements of favorite songs by Grammy award-winning arranger/composer Mike Tomaro, the evening will even make Scrooge smile. Like adding a shot of bourbon to a mug of hot cider, Lisa serves up classic Christmas tunes with plenty of sass and spirit supported by an all star seven-piece band featuring Max Leake, Marty Ashby and a three horns! This concert will be recorded live at MCG. Be part of this historic evening!